Citrus are evergreen fruit bearers that do not require as much pruning as their deciduous brethren. If left unpruned, however, growth can get vigorous and out of hand, so pruning orange trees will rein in their appearance. How do you go about trimming an orange tree and when is the best time to prune orange trees? Read on to learn more. Why should you prune citrus such as orange trees? Pruning orange trees can improve aeration and increase light through the canopy, thus improving fruit quality and yield. Pruning out water sprouts can improve productivity in some cases as well. Ease in harvesting of oranges and a reduction in potential injury due to falls from ladders are also the results of trimming back an orange tree to reduce its overall height. 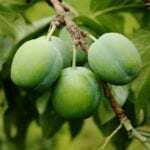 Skirt pruning reduces the risk of soil borne pathogens affecting the fruit as well as facilitating weeding and mulch layering. Citrus can be trained as a sheared hedge or espalier through careful pruning. That said, orange tree pruning is not usually necessary except to remove any damaged or diseased limbs. There is no need to prune to thin out fruit unless there is just an overabundance. Pruning potted oranges is usually not necessary either, as the size of their container usually keeps their growth in check. 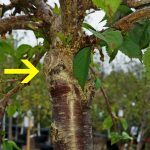 Again, you want to remove any damaged or diseased branches, lightly snip off suckers that arise below the graft or bud union and keep an open canopy. If you do decide to prune this citrus tree, plan to do so just prior to bloom time or just after fruit set. For instance, in warmer regions, prune in the spring between February and April; in cooler areas, delay the pruning until late February or March. Small trimmings, such as removing sprouts, can occur at any time except late in the growing season because it stimulates new growth, which can be damaged by frost. Once you have pruned, protect the area with a 50:50 white interior latex paint and water mixture. 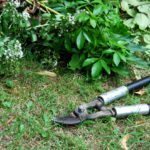 Be sure to sterilize pruning implements in case they have previously come in contact with a contaminant or disease. Now that you know when to prune, the question is HOW to prune an orange tree. Sprouts are easy to remove by hand when they are small. If they are too big to easily snap off, use hand pruners. Keep up on removing the sprouts; they should never get so large that you need loppers or a saw to remove them. If you do have to remove a sprout with loppers, remove it at its base, retaining the branch collar. The collar is the swollen area of trunk that surrounds the base of a branch and protects the tree from decay. Always use sharp, sterilized shears. If you lack the gumption to keep up on sprout removal, the trunk can be wrapped with white cardboard to inhibit their growth. Keep the lower 10-12 inches of the tree free from sprouts. To remove branches, you will need hand pruners or even a saw. Prune the branch flush with the collar, not the trunk. This gives the tree the best chance to heal completely and minimize sprout growth. If the branch is larger than 1 ½ inches across, use a three-part cut. First, select an area 6-12 inches out from the collar for your first cut. Saw through one-third of the branch starting on the underside. Known as the undercut, this keeps the bark from tearing. Make your second cut about 3 inches further out from the undercut. Cut all the way through the branch this time until the limb falls away. Lastly, cut the resulting stub back to the branch collar. If the cut is smooth, the tree will heal itself and no pruning paint or sealant is needed. When you are done with your three-part cut, inspect the wood to be sure it is healthy. It should be whitish-yellow, like a manila folder. If you see any dark wood, this is an indication that disease still exists and you may need to remove more of the tree, treat it if possible or dispense with it if it is severely affected.